Hope you all had a great year and may 2015 be a less puzzling year than 2014! Ending the year with a difficult puzzle, to which I do not know the solution. This is a challenge puzzle, i.e., the first person to send me the correct answer gets a prize, which will be an online coupon (though just a token!). So please get your competitive juices flowing and send me the correct answer directly at alokgoyal_2001@yahoo.com. I will post the correct answer on the weekend of 10th January. Please look at the figure above. 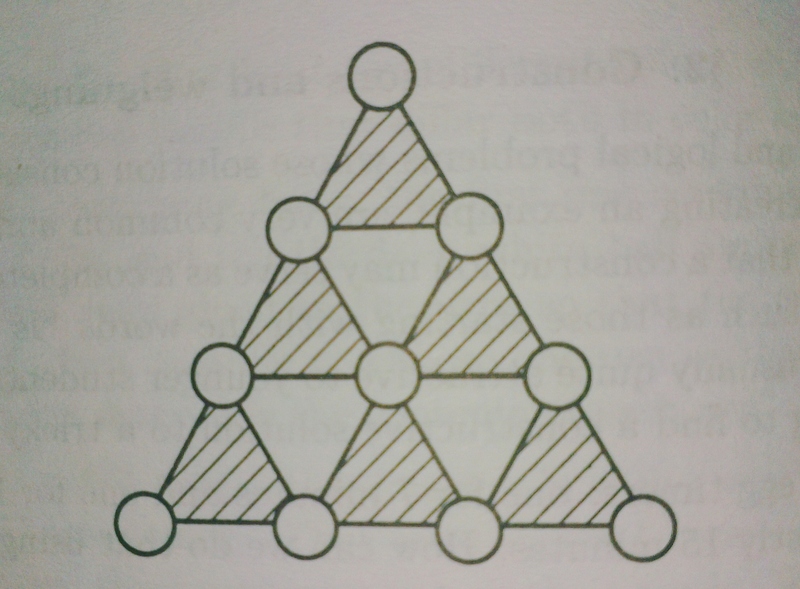 Is it possible to place the numbers 0 through 9 in the circles in the above figure without repetitions so that all the sums of the numbers in the vertices of the shaded triangles are equal?